Words by Jeffrey Callen, Ph. D.
Hoba Hoba Spirit was there when an alternative music scene came together in Casablanca in the late 1990s. They were there on the front lines of the protests after 14 heavy-metal musicians and fans were arrested and accused of being satanists in 2003. Creating distinctively Moroccan rock ‘n’ roll (with lyrics in French, Darija and English, and music infused with healthy doses of Gnawa music, reggae & Moroccan rhythms), many critics and supporters considered them too hip to ever be popular outside of Casablanca. 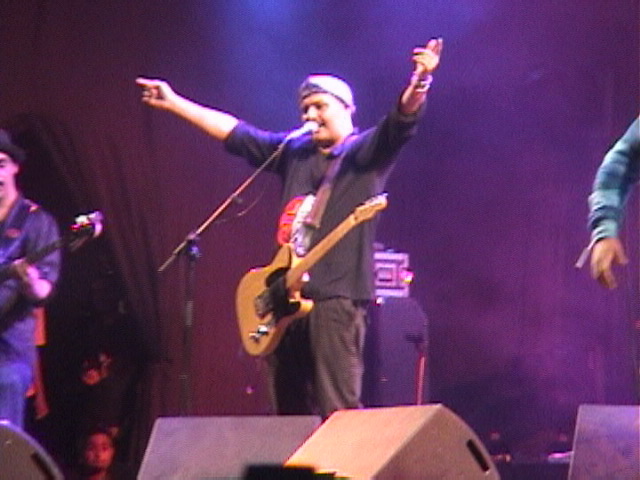 Playing wherever they could get a gig, they introduced the live experience of rock ‘n roll to audiences in small cities and villages throughout Morocco and, by 2007, they had become one of the most popular Moroccan musical acts of any genre. More than any other alternative band, Hoba Hoba Spirit has advocated an opening of the Moroccan cultural landscape—through music and through the writing of bandleader and journalist Reda Allali in the magazine Telquel. In a far-ranging interview, Allali talks with ethnomusicologist Jeffrey Callen about the Hoba way, their unexpected road to success, the alternative music movement and the obstacles to making a living as a musician in Morocco. In 2002, I spent the year researching the emergence of an alternative music movement in Morocco. Made up of a collection of genres that lie on the periphery of mainstream culture — hip-hop, electronica, rock/metal, fusion — alternative music had yet to break through. 2002 was its year on the cusp. 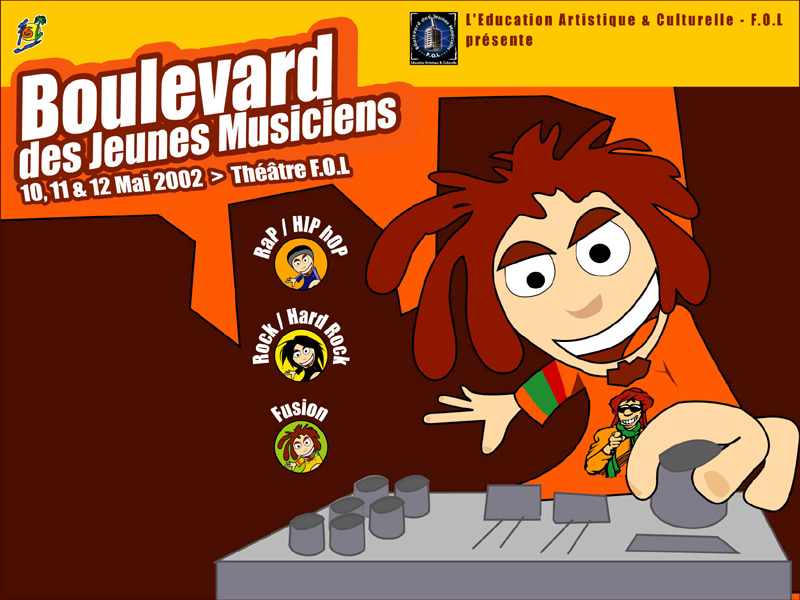 In 2003, it would make its move to center stage and, within a few years, hip-hop and fusion bands would become major players in Moroccan pop culture. My dissertation, French Fries in the Tagine: Re-imagining Moroccan Popular Music (UCLA, Department of Ethnomusicology, 2006), which focused on fusion, examined this change in the musical playing field, how it happened and what it meant. I’m posting this link to share the work and ask for feedback. I’m currently writing a book on Moroccan alternative music that will hopefully bring this fascinating story to a wider audience. A recent conversation with “Northern Roots” singer Tim Eriksen set me to thinking about the strategic nature of genre identification. Eriksen is an exception in that he has created his own genre label to identify his quirky mix of American “roots” material. For him it’s hopefullly a way-station on the way to defining his work as simply his own — in the way that a Bob Dylan album is always first of all a Bob Dylan album. Still, for most artists, genre identification is a necessary exercise in balancing self-identification (comfort with a label) with industry categorization (so interested listeners can find you). You got to play the game if you want to get heard. Nowhere is the conundrum of genre more tangled than in the so-called World Music realm where issues of marketing and how to sell to the Western consumer take precedence. Although, aesthetics and some power dynamics have shifted in the almost three decades since World Music emerged as a marketing term. The following observations still seem pertinent. World Music “fusions” are often little more than marketable forms of aural tourism in which exotic locales are tamed and made approachable for Western consumers. This use of “fusion” reflects the overwhelming preoccupation in Western discourse with “difference” in which interactions with non-Western cultures are presumed to be infrequent and of minor importance. While this orientation has come under intensive critique during the last several decades, it still exerts an intense pressure upon the Western mindset (see for example the writings on this by James Clifford and Arjun Appadurai) — plagiarizing myself from my dissertation French Fries in the Tagine (2006). World music means music of the poor…. You get music from the poor and try to get the rich to listen to it… It’s like a big European producer coming in and saying “This is a good sound but you know it’s not well-exploited. We are going to do something better with that” (Interview of Reda Allali of Hoba Hoba Spirit, 2002). Allali, of the Moroccan band Hoba Hoba Spirit, was stating a sentiment I heard repeatedly from African musicians, including Moroccan rapper Don Bigg and Malian bandleader Cheikh Tidiane Seck (for Salif Keita and Oumou Sangare). World Music is not a category meant for them and it doesn’t satisfy them, artistically or financially. It’s a matter of who has the control, musically and financially. But what about the opening up that can occur with crossing cultural and musical boundaries. That is the primary emphasis of Western artists who make the journey across musical boundaries between North & South, Western & Non-Western. I must admit that I disregarded the sincerity of that sentiment in forming my opinion of the World Music phenomenon. A recent interview of French World ‘n’ Bass ensemble Watcha Clan set me to reconsidering my opinions. For me, it’s still in process. Below are extracts from some of the source material I’m considering: the interview with Watcha Clan (available in full at Afropop.org) and a piece I wrote on Moroccan musicians and their positionings regarding the World Music label a few years ago (available here). …but there are all the misses, mostly World Music endeavors that perpetuate the worst of the North–South colonial heritage under the auspices of intercultural understanding. It’s the forefronting of the “Western” artist or musical reference and a certain rhetorical smugness that stands out. But all of this is just preamble to an album I don’t know what to do with. I should hate it. It’s rootless, “multi-cultural” music produced by “musical nomads.” On the surface, it’s all too precious but it’s got something and, sometimes, it’s got a lot. (to read more click: Deciphering Watcha Clan: Interview with Jeffrey Callen). The songs of Hoba Hoba Spirit fuse rock ‘n’ roll, reggae, and punk with cha’abi and gnawa. The members of Hoba Hoba Spirit were among the numerous musicians I met last year in Morocco who are creating music that transcends the narrow constraints imposed by the Moroccan music industry and media. Many of these musicians are making music that blends Moroccan traditions with musical styles from around the world. They feel this is simply a reflection of their lives which are both rooted in Moroccan tradition and enmeshed in webs of connection that make rock ‘n’ roll, hip-hop, reggae and salsa as much a part of their world as cha’abi, melhoun and gnawa. Like numerous other musicians from the global South, they are not interested in creating raw material for American or European artists or acting as exotic aural scenery for the Western market. (to read more click: Don’t Call it World Music).